Beside of multiple bug fixes (see the release notes on SourceForge and the commits on GitHub), the following section describes some of the details. 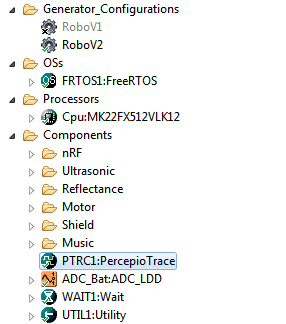 With this I can now trace Kinetis SDK applications with FreeRTOS using the Percepio trace with the simple set of a macro in FreeRTOSConfig.h. Such a SDK V2.0 application is available on GitHub. For everyone going to NXP FTF Austin this year: This will be used in two hands on sessions: FTF-DES-N1956 and FTF-DES-N2084. 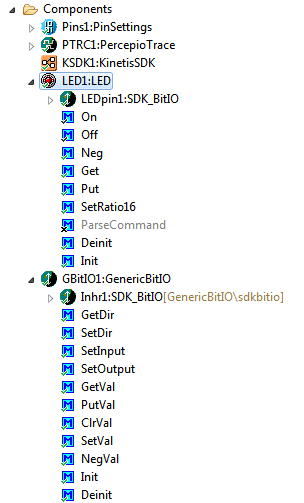 With this, I can use the component pretty much the same as in a ‘native’ Processor Expert component project: I generate the code in a ‘normal’ Processor Expert project and then I can use the generated sources in a ‘native’ Kinetis SDK V2.0 project :-). 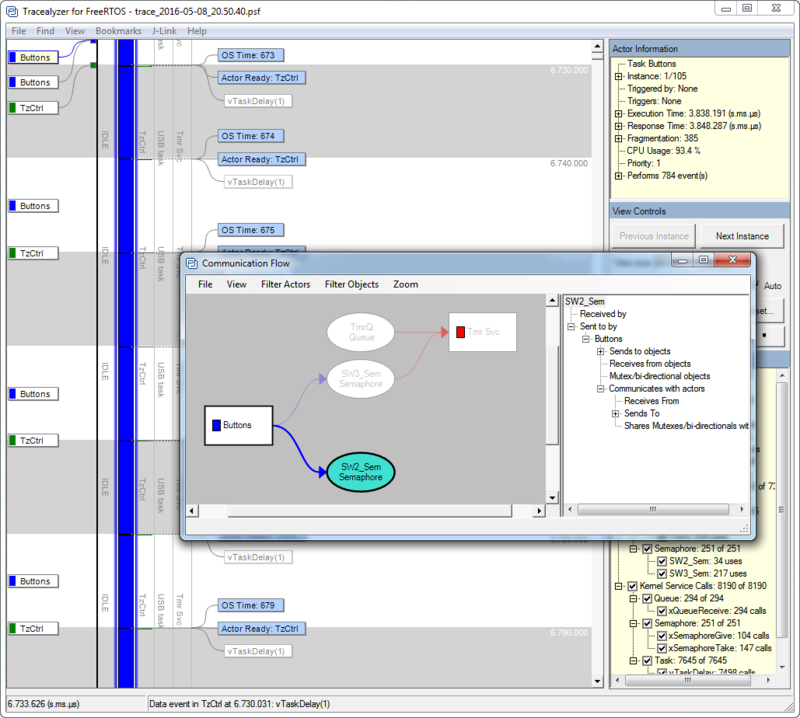 The new release is available on SourceForge here: https://sourceforge.net/projects/mcuoneclipse/files/PEx%20Components/. 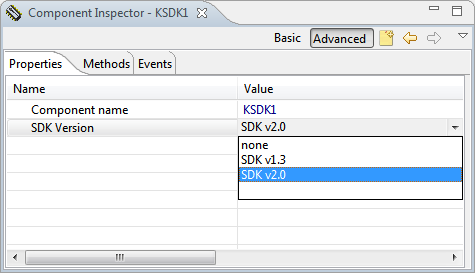 Beside of the bug fixes and enhancements, I think the new Kinetis SDK compatibility will be very useful. This entry was posted in ARM, Boards, CodeWarrior, Component Release, CPU's, Eclipse, Embedded, Embedded Components, FRDM-K22F, FreeRTOS, Freescale, KDS, Kinetis, NXP, Processor Expert, SDK, Shell, SourceForge, USB and tagged CodeWarrior, Eclipse, Embedded Component, freedom board, FreeRTOS, Freescale, open source projects, Processor Expert, software project, technology by Erich Styger. Bookmark the permalink. I have debug and I think error is in: UTIL_PE_strcat(). the first pointer to strcatNum16Hex() and all the other functions point to the start of the buffer, and the second one to the total size of the buffer. I’m not sure about your second code snippet (copy-paste error). means you need to adjust the size of the buffer if you are passing a pointer inside the buffer. num is copy/past error, just assume num is 0. always point to first element of buffer. All the utility ‘cat’ functions expect a valid buffer, zero terminated. \brief Adds a 16bit number as hex value to a string. buffers are not the same concept as strings… do not have to be ‘zero terminated’. misleading. First I want to thank you for your work, I am a big fan of your processor expert components. I am using it since yeas now. 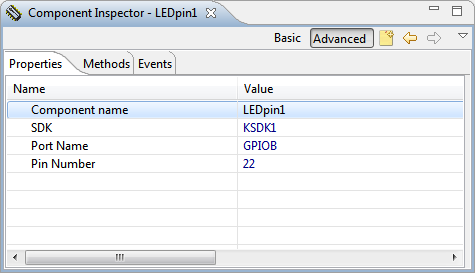 For my current project I am using a K22 MCU with KDS, PE and your FRTOS and USB CDC components. Everything worked fine till 7.Feb.16 release. Today I updated to 8.May release and I got problems: Application running as normal, but as soon as the first data is sent via USB the Application hangs in vPortEnterCritical. Also tried the 3.Apr release and same behavior. Going back to 7.Feb fixed the problem again. So my question, did you tried the combination FRTOS + USB CDC with the new releases? Just want to know if is is a bug in component, incompatibility or just a bug on my side. let me check this today and report back to you. Not sure what is happening here…. 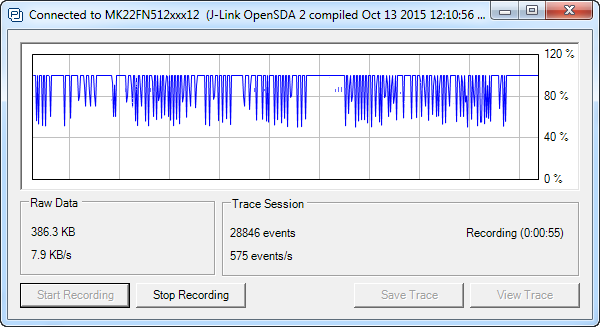 I checked the USB CDC again with a FreeRTOS project on a K64F, and that works fine. Any information you could provide about the problem you see? You can send me that as well to the email address listed on the About page (https://mcuoneclipse.com/about/). 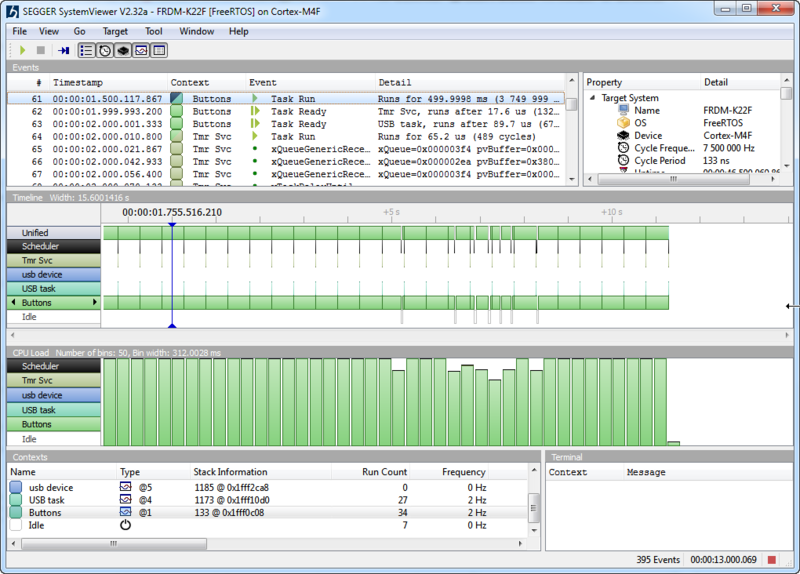 Using the 2016-06-25 beans, FreeRTOS and TMOUT. 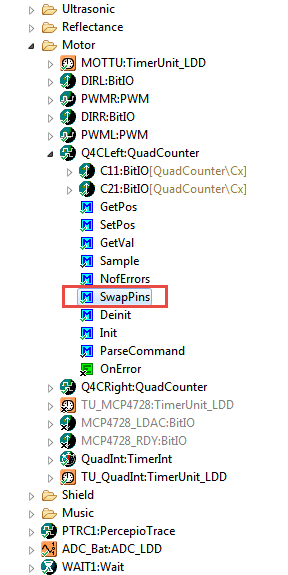 So, when FreeRTOS ticks, it will increment the timeout and everything is good, right? Nope. TMOU1_Addtick calls CS1_EnterCritical, which navigates through the macros to FreeRTOS vPortEnterCritical, where it subsequently hangs in the configASSERT that checks if it’s being called from an ISR. In previous version(s) of the beans, this assert did not exist in vPortEnterCritical. 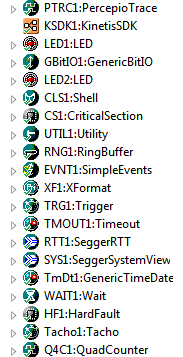 I can obviously fix the issue by either writing my own critical section handler, or setting CS1 to not use FreeRTOS. Neither of those is particularly appealing. I’m happy to make a patch, but I wanted to get your thoughts on the best way to handle this. The CS bean is obviously is used from interrupts and needs to be safe working that way. Indeed, this is a problem :-(. 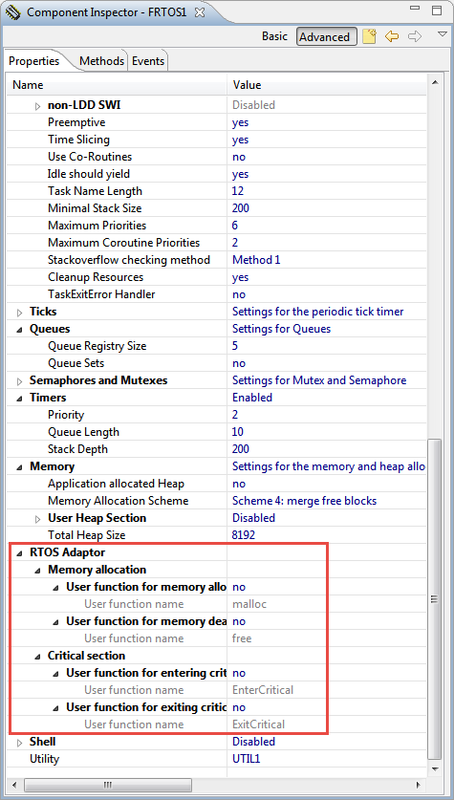 You could disable the ‘use FreeRTOS’ setting in the CS1/CriticalSection component (this is what I have typically). The fix is rather easy, so you could apply it in your component sources as well. Let me know if you need assistance on this. Ahh, yes, that’s the right fix. I kept looking for a vPortEnterCritical_FromISR and was determined there wasn’t one. taskENTER_CRITICAL_FROM_ISR() does the trick, thanks!